With a lemon zester zest half the lime and use the juice of half a lime. 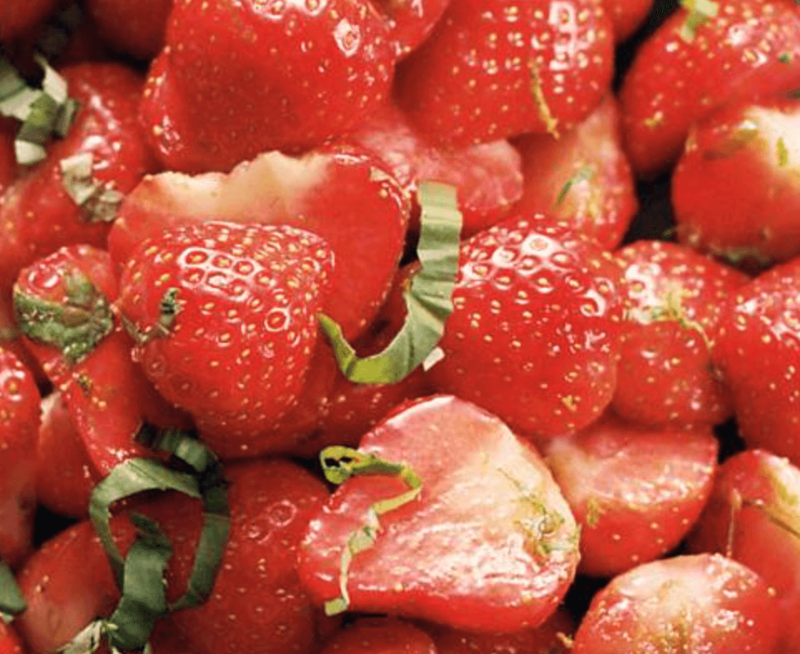 Sprinkle the juice over the strawberries and mix with sliced pieces of basil. Stir well and marinate for 10 minutes. With a sieve, sieve some icing sugar right before you serve.